Olivier “Lion” Flament is a French service member who’s special ability involves using a drone to survey hostile areas and detect movement. Unfortunately, the way this works involves a red aura around opponents that some players won’t be able to see. Addressing the needs of players with certain visual impairments has been an ongoing issue in games. The Witness included some puzzles which couldn’t be completed by players with hearing impairments or color blindness, for example. Sometimes it can be as simple as having certain bits of highlight text bleed together, as with Borderlands 2's weapon descriptions which have certain parts of weapon descriptions in various colors ranging from red, green, and yellow to teal and purple. For someone with colorblindness, this text can become an unreadable mess. It’s also a problem that some developers are slowly becoming more sensitive to, however. The card game Uno is notoriously a color-coordinated affair, but has been continually updating its design to solve that shortcoming. A Microsoft app from a couple years back called Color Binoculars actually tried to color correct images for those with color blindness so the natural effects could still be conveyed. EnChroma’s glasses specially designed to address color blindness are another example. During a keynote address at DICE 2018 yesterday the head of Xbox, Phil Spencer, made an impassioned call for the industry to pursue greater inclusivity in gaming, part of which includes making games accessible for everyone. Destiny 2 had improved subtitling for deaf players compared to the first game for instance, although more progress could still be made. Meanwhile, PUBG includes colorblind settings on PC but not on Xbox One at the moment. 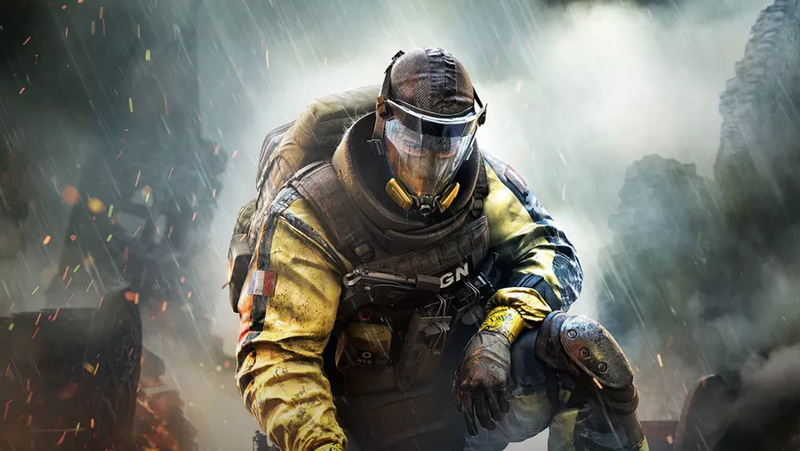 Given Rainbow Six Siege’s continually growing player base, especially around the release of new updates, it would be shame if some of them weren’t able to take advantage of its newest operator because his ability were locked to an arbitrary visual cue. 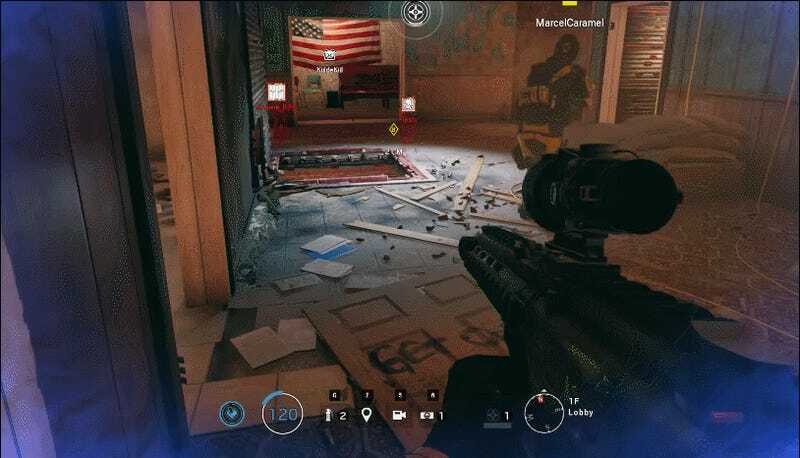 On the flip-side, it might also be what leads Ubisoft to finally implement colorblind settings across the rest of the game in general.